With energy prices constantly increasing and the number of developing countries also growing, finding ways to conserve energy and use it more efficiently have become one of the hottest areas of technological development. All over the world, regardless of a nation’s development level, one main constant of energy use has been electrical lighting. Even in countries where much of the population still relies on flame based illumination, electrical lighting accounts for a significant portion of energy consumption. As these countries grow, so too does the portion of their populations who rely on electrical lighting. Particularly in poorer countries, the need for highly efficient light sources has reached the point where traditional lighting solutions simply cannot be implemented in a cost effective manner. Although it would seem that developing the infrastructure and grids necessary to spread power across a continent would be the most enormous part of the cost equation, it is in reality the cost of annually supplying power that presents the greatest expense. For these reasons and many more, it’s no surprise that around the globe, LEDs have become the single most popular alternative to traditional incandescent lighting. 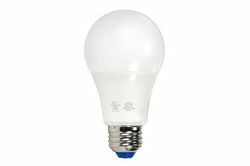 Extremely efficient, lasting for years, and durable enough to withstand abuses no incandescent lamp could survive, LEDs offer a lighting alternative that singlehandedly holds the potential to reduce an entire nations power consumption by up to ¼ according to some estimates. While the most obvious benefit for every nation is the reduced use of electrical power and thus lower costs, for developing nations even more benefit is realized from requiring less hardware to serve lower electrical needs. As can be imagined, this kind of potential has made LEDs popular indeed. All over globe, LEDs are popping up everywhere. You can now find LEDs in traffic signals, parking lot lamps, shopping centers, ships and aircraft, and industrial manufacturing facilities, just to name a few of the most popular applications. In cities and states across the US, reports are appearing in the media that back up the energy efficiency potential of LEDs, with many companies and local governments reporting reductions in energy consumption of up to 70% in applications where a full transition to LEDS has been made. Despite the higher initial cost, upgrades to LEDs are now becoming effective enough to produce a return in energy savings often within 1-1/2 years. Although LEDs still have yet to achieve the luminous efficacy of some luminaries such as high pressure sodium lamps, their efficiency is continually being improved while the light quality of an LED already far surpasses that of HPS. With LEDs, it is no longer necessary to compromise light quality to achieve substantial savings. HPS fixtures are notorious for their poor light quality. A heavy reddish tinge and poor color and contrast rendering severely limits their usefulness, relegating them to applications such as parking lot illumination where light quality can be sacrificed with less detrimental effects. With LEDs, such applications benefit because with improved light quality comes improved aesthetics, improved safety, and in industrial settings, measureable improvements in productivity. This improved light quality serves to offset the already negligible higher efficiency of HPS systems and push LED lighting technology ahead to the forefront. In the general lighting marketplace, however, LEDs have seen a slower rise to prominence. Although industrial and commercial markets have embraced the LED, the everyday consumer is still hesitant to absorb the initial higher costs associated with them. This is understandable, considering that the general consumer has more stringent budgetary constraints as well as smaller annual expenses, which reduces the rate of return on initial outlay. As the costs of LEDs continue to lower, however, consumers are increasingly turning to LEDs as they become better acquainted with the LEDs' long term benefits and immediate returns in light quality and durability. Especially in niche’ markets such as the marine and automotive industry, LEDs have become extremely popular as both customers and manufacturers realize more directly the improvements in power and efficiency LEDs offer. Particularly in the marine industry where power management is a critical aspect of boat operation, LEDs offer significant improvements in fuel efficiency and cruise ranges as less fuel is needed to provide onboard energy to power them. LEDs arranged in arrays and marketed as LED spreader lights, like Larson Electronicss’ LEDLB-40-BLW boat light, have generated a great deal of popularity and account for much of the familiarity that is growing among boaters with LEDs. Although more expensive than traditional boat lights initially, with the high cost of fuel and the maintenance issues of incandescent lighting being what they are, returns are realized very quickly and thus less negative impact on the boater's finances is actually felt. In the automotive industry, LEDs offer great potential due to the current heavy emphasis being place on hybrid and electrical vehicle development. Most typical automobiles rely heavily on electricity for everything from operating headlights to opening windows. In hybrid and electric vehicles where reliance is on power stored in electrical reserves represented by batteries, reducing the drain on these reserves is critical. Since LEDs typically use only 1/3rd the amount of electricity as an incandescent lamp, hybrid and electric vehicles realize substantial improvements from the inclusion of LEDs. Longer runtimes, greater mileage and improved fuel efficiency are direct results of LED use in the automotive industry and have provided a great deal of needed improvement in efficient automomobile development. As can be seen in the media and real world application, LEDs do indeed appear to live up to much of the hype and excitement being associated with them. Although they are not a magic bullet and will not solve all of our energy needs in one fell swoop, they do indeed hold the potential to form a large part of a comprehensive answer. Efficient, powerful, long lived and highly durable and versatile, LEDs can be applied to almost every lighting application once served by the incandescent light bulb. As their use increases and costs improve, further development and implementation of LEDs almost guarantees that the face of lighting the world over will in a short period of time no longer be represented by an incandescent light bulb.